In case you haven't heard, Saving Infiniti releases December 14th and is available for pre-order now! 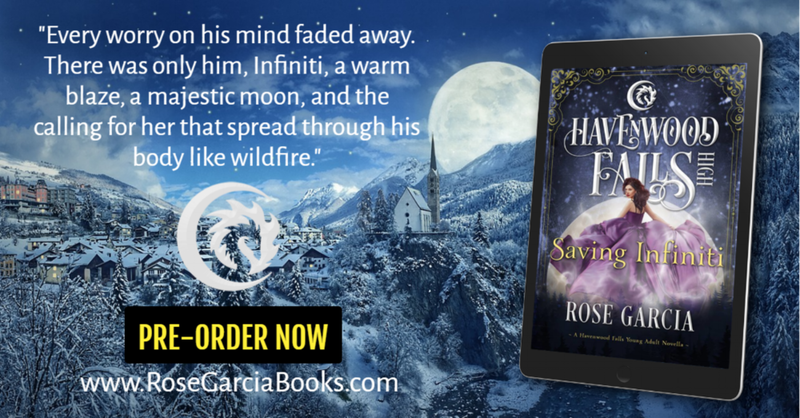 A Havenwood Falls High Novella that features Infiniti and Fleet from The Final Life Series, this is a story you don't want to miss! Click here to pre-order! Pre-Order Saving Infiniti HERE!! For more on Rose, visit her website at www.RoseGarciaBooks.com. You can also follow Rose on all social media channels at the bottom of her website, and you can find info on her books on GOODREADS and BOOKBUB.